What Happens During a Board of Nursing Investigation? Being served with a letter of allegations by the Minnesota Board of Nursing or other professional licensing board can be overwhelming. As a lawyer for nurses faced with allegations, I am often asked about the investigation and settlement process of matters that are brought before the Minnesota Board of Nursing and how my law firm will help them through that process. 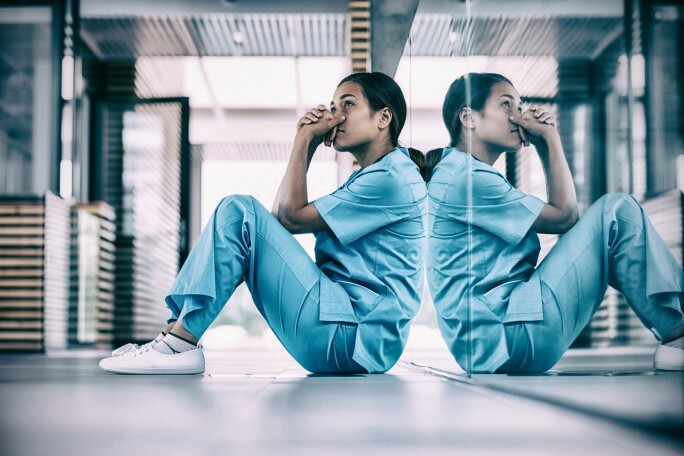 Here are the five main phases of a Board of Nursing matter and what your nursing license defense attorney will do to help you through this troubling time. 1) A letter of allegations is sent to you by your licensing board. Your lawyer will help you to pay close attention to deadlines, may be able to get an extension if you need more time to gather information and evidence, and will help you to respond to each allegation appropriately and efficiently. Your attorney will also be able to help you identify and illustrate the important details of your case to the board to ensure that your response is complete and effective. Finally, your attorney will be able to make suggestions for you to provide certain information that you may not know you can provide to your board as a part of your response, such as professional letters of support from colleagues. 2) You are called to a conference or hearing before a complaint review committee. Your lawyer will ensure you are well prepared for and ready to provide testimony at your conference. Your attorney will meet with you beforehand to role play some questions that will likely be asked of you at your hearing. Your attorney will provide you with critical feedback regarding the content as well as your presentation of your answers and your general affect. Your nurse lawyer will also be able to appear with you at your conference, providing you with support and protecting you from any unnecessary or repetitive lines of questioning by your board. 3) A settlement agreement is proposed by your licensing board. After your response to allegations is received and your conference is over, the complaint review committee will propose a settlement. Sometimes the matter is dismissed, but often your board will be seeking a disciplinary measure against you in the form of a stipulation and consent order. Your attorney will be able to ensure that you understand all the details outlined in the proposal and negotiate the proposal with your licensing board to get you the best outcome possible. If you are unable to reach a settlement agreement with your licensing board, your attorney will be able to provide you with honest analysis regarding your chances of succeeding in an appeal, known as a contested case proceeding. 4) A contested case proceeding is initiated by your licensing board. If a settlement agreement cannot be reached between you and your licensing board, a contested case is initiated. A contested case proceeding is more like a mini-trial and is much more adversarial than a hearing before a complaint review panel. Your attorney will navigate the complicated legal procedure for you, and advocate strongly for your position, presenting evidence and deposing witnesses. Both sides will present their evidence to an administrative law judge, who will make a recommendation to the board regarding whether your license should be subject to discipline. If you remain unhappy with the outcome of a contested case proceeding, your attorney can file an appeal with the Minnesota Court of Appeals. 5) You appeal your matter to the Minnesota Court of Appeals. In rare circumstances, it may be advisable to appeal your case to the Minnesota Court of Appeals. Your attorney will be able to assess the facts of your case and make a recommendation as to whether you should invest in an appeal at this stage. We have proudly represented licensed professionals before their licensing boards for over ten years and have the wisdom to protect your license. Check out our educational video about the first three steps you should take if you receive a letter from your licensing board. At Lord + Heinlein, we are your powerful legal voice.